Today I'm excited to share a new book with you by the very talented and inspiring Amy Friend. Improv Paper Piecing, A Modern Approach to Quilt Design combines two of my favorite types of quilting - improvisation and foundation paper piecing. Seems a bit contrary, right? But throughout this book, Amy shows you how these two techniques can work together, resulting in beautiful, original and precise quilts. Improv Paper Piecing starts out explaining the concept of improvisationally making foundation paper pieced blocks. Amy walks you through everything from foundation paper piecing techniques to how to draft your own paper pieced pattern. Throughout the project chapters in the book, Amy teaches you about shape, symmetry, asymmetry, scale, wonkiness and more. She shows how different a quilt can look depending on position and layout of your blocks. 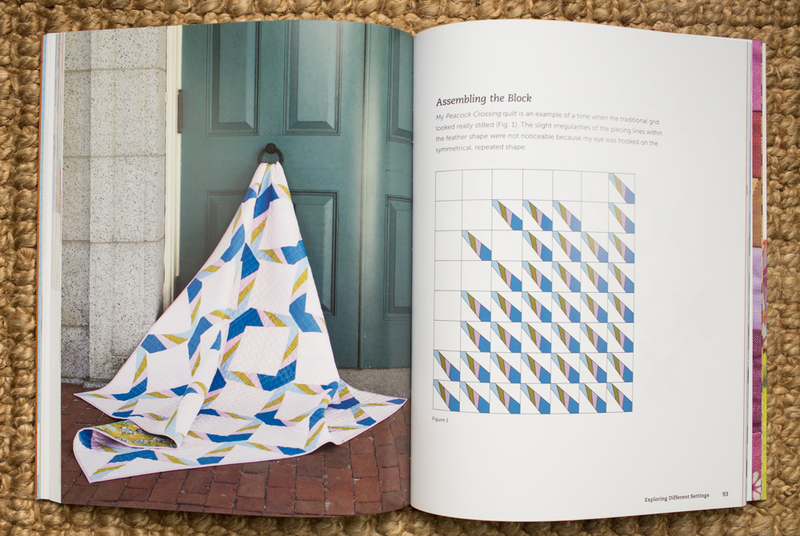 I am *in love* with this Kite Tails quilt and can't wait to make one of my own. Improv Paper Piecing has about 20 pages of templates at the end, if you don't want to draft your own. Some are actual size and some need to be enlarged. 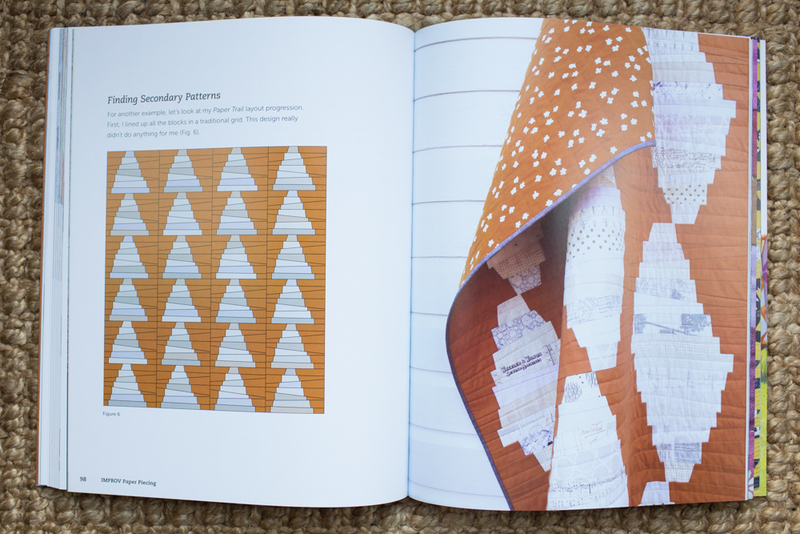 The book is 144 pages of awesomeness that will inspire you to think about foundation paper piecing and improvisational quilting in a new way. I hope you will check it out! Edited to add - Amy is running an EQ7 giveaway on her blog. Be sure to stop over for your chance to win! I received a copy of Improv Paper Piecing in exchange for my honest review. This post contains Amazon affiliate links that provide me with a small commission if you make a purchase after clicking. There is no additional cost to you. The commission helps support this blog. Thank you!